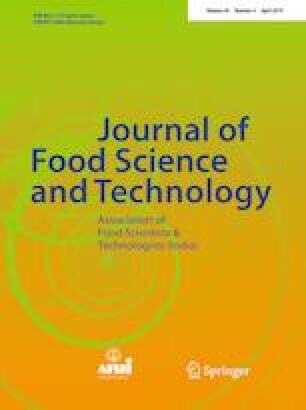 This study aimed to develop a new type of Citrus junos beverage (known as yuja in Korean and yuzu in Japanese) based on a traditional drink preparation method (Galsu). Processing conditions (yuja extract, sugar, and soybean milk) were optimized using response surface methodology (RSM) to develop the beverage. The polynomial models developed by RSM were based on physicochemical characteristics and sensory attributes. Sugar, vitamin C, and total phenolic compound contents, DPPH free radical scavenging activity, sweet odor, yuja flavor, sweet taste, and pungent sensation were used as indices of positive product quality. Beany flavor, astringent taste, beany aftertaste, and astringent aftertaste, were used as indices of negative product quality. Sour odor and sour taste, which are the major characteristics of the traditional yuja beverage, were set in a range to optimize the numerical model. The predicted optimum formulation of yuja beverage (Galsu) as a final product was determined to be 28.4% yuja extract, 36.6% sugar, and 35.0% soybean milk.